Helen Wheelock wears two hats at CAT. As director of CAT’s Early Childhood program, she continues CAT’s long tradition of innovative programming for children between the ages of three to eight. She has developed and led a pioneering anti-bullying curriculum and a powerful professional development program on interactive storytelling for early childhood educators. 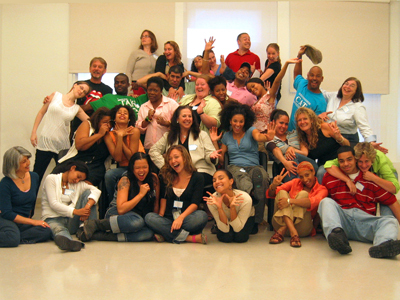 From 2001-04, she was a point-person for CAT’s collaboration with Wolf Trap Foundation for the Performing Arts in the stART smART program, a three-year project that sought to integrate technology with teacher training. Ms. Wheelock also directs CAT’s partnership with United Arab Emirates University in Al Ain, UAE, leading several intensive summer institutes at CAT for a women students and recent alumnae from UAEU, the largest public university in its region. She blogged about her first trip to the UAE in 2008 and contributed “West Side Meets Middle East”, an article about her trip, to AATE’s Insight/Incite magazine. Her chapter on the Creative Arts Team “WALKING THE TIGHTROPE: The Complex Demands of Funded Partnerships,” will be in Learning through Theatre: New Perspectives on Theatre in Education, 3rd Edition, edited by Tony Jackson and Chris Vine, published in 2013, focuses on programmatic and funding partnerships, and the strategies CAT has used to thrive through collaboration. One focus is on ELTA’s continual adaptations over the years. 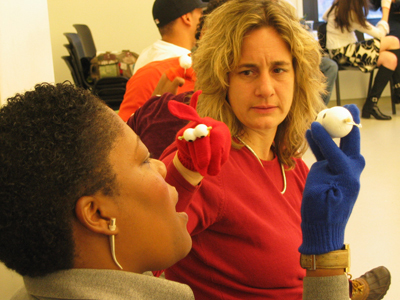 As an adjunct faculty member at the CUNY School of Professional Studies, she has taught several graduate courses: Teaching Through Drama: Storytelling & Puppetry in the Early Years; Role-Play in the Classroom The Uses of Role-Play as a Teaching Tool; Drama with Special Populations; and, for the MA in Applied Theatre, an Apprenticeship in Early Childhood Drama. Ms. Wheelock enjoys a robust parallel career as a freelance journalist specializing in women's basketball. She has been a columnist for the Women's Basketball Coaches Association's Coaching Women's Basketball, a contributor to the Women's Sports Foundation, and an ongoing contributor to the popular Women’s Hoops Blog. She earned her B.A. in theater at Middlebury College and her M.A. 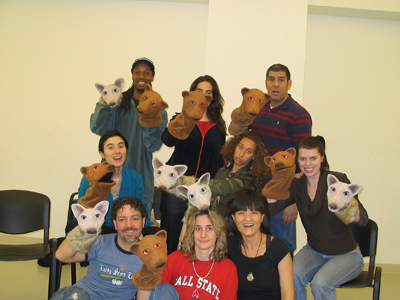 in Educational Theatre at New York University. She joined CAT in 1994. Click here to hear Helen discuss education issues on the radio!